Robust, lightweight aluminium structures for offshore use. Today, many internal components for onshore wind turbines are already produced in aluminium. 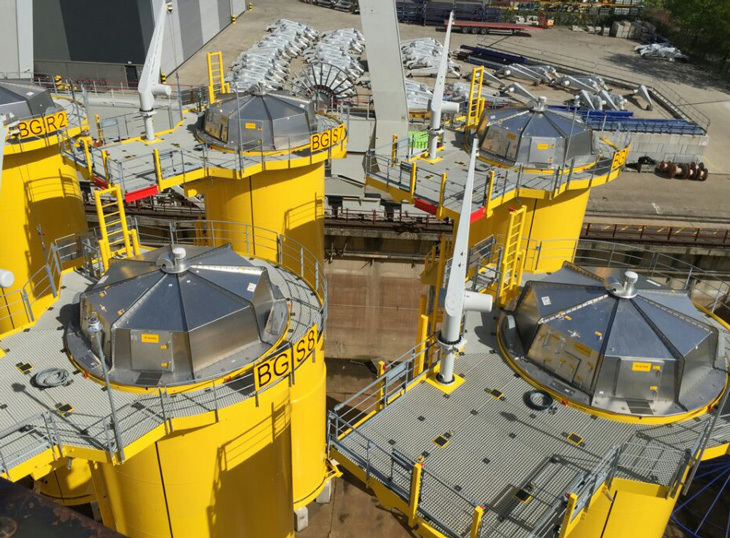 With long experience of designing and producing aluminium components for onshore and offshore wind turbines, Aluwind is now increasingly using aluminium’s properties in robust structures and components for offshore wind turbines foundations. We bring our long experience in cost-efficient product design, mass production and standardization with us into the offshore sector. Using aluminium offshore is not a new idea – far from it. Aluminium has already been used for more than 25 years in several offshore and marine applications, such as helidecks, gangways, railings, stairs and complete vessels like high-­speed ferries and supply vessels. Here, the lightweight metal stands up exceedingly well to everyday use in demanding conditions and salty environments, where aluminium’s corrosion resistance beats that of other materials e.g. steel. Corrosion-resistant, low-weight material cuts supply and operation costs.